In order to stay reliable, the national grid needs large energy storage systems that use ‘consistent’ sources of energy. Both wind turbines and solar power are great for consumers, and the environment. But because of their intermittent nature, they need to be backed up by battery storage. And although we think of batteries as those little cylinders we buy in the supermarket, there are other ways to store the massive amounts of energy needed by the electricity grid as we use more renewable sources. Let’s take a look at four ways we can store renewable energy to draw on later, after the sun has gone down and the wind dies. Pumped hydro storage uses renewable electricity to pump dam water to a high reservoir. When needed, energy flows back down through turbines to turn the trapped energy into electricity again. There are plans to use pumped hydro in Tasmania as the ‘battery of the nation’. Two large hydro storage projects are under development in Australia – Snowy 2.0 and Hydro Tasmania. The first will connect the Talbingo and Tantangara reservoirs with a 27-kilometre tunnel, costing between $1.9 and $2.25 million per megawatt. Hydro Tasmania, on the other hand, will turn the state into the “battery of the nation”. It will pump hydro across 14 possible sites around the state at a lower build cost than Snowy 2.0. The main difference is the storage capacity. Snowy 2.0 aims to store 175 hours’ worth of energy, while Hydro Tasmania could only hold between 8 and 36 hours. In South Australia, a project called Aurora will use molten salt to generate and store energy. The project requires a 240-metre-tall tower in the centre of 12,000 heliostats, or mirrors, across 700 hectares. The sunlight that the heliostats reflect onto the top of the tower’s receiver heat up a molten salt core – around 31,000 tonnes worth – inside an insulated tank. This stored heat can convert water to steam to drive turbines when needed. While Aurora will create up to 4,000 jobs, it comes with its own set of challenges. 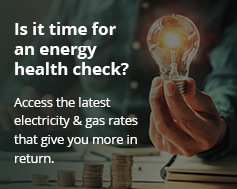 After the September 2016 blackouts in South Australia there’s been some push-back from the electricity industry. Water is also a problem. The site needs lots of fresh water but is located in a dry part of the state. A new water pipeline will add to growing costs. This energy storage system uses an electricity-powered compressor to create heated compressed air. The heat is then ‘pulled’ from the air stream and placed into a thermal store for later use. The compressed air is stored underground and, when charging, it displaces water up to a reservoir on the surface. During discharge, the water flows back down into the cavern and forces pressured air to the surface where it’s re-heated with the original ‘pulled’ heat and expanded to drive an electricity turbine. Hydrostor Australia recently received $9 million in funding to build the country’s first compressed air storage site in a former mine just outside of Adelaide. We are all familiar with electro-chemical storage, the energy storage system in the regular and rechargeable batteries from the shop. The big battery at the Hornsdale Power Reserve in SA. The famous ‘big battery‘ in South Australia is made from Tesla Powerpacks, which are essentially giant rechargeable batteries. These batteries can respond quickly (providing reserve power in under 140 milliseconds) and does so without carbon emissions. All this mega-storage is great for the future of the grid. And back at home, solar batteries – like the Tesla Powerwall 2 and Enphase batteries – can combine with solar panels to give you energy independence, and big savings on electricity bills. Next: Renewable energy versus coal-fired stations: which is the cheaper electricity choice?